Clever, huh? But I mean it! It’s time to take a stand for your health! And with all of this Spring cleaning (and the fact that bathing suit season is only a few months away), why not do it in March?! I have quite a few goodies at a HUGE discount just for you, after all! Check ‘em out! I’m sure you’ve all heard me sing the praises of Shakeology for the past 2 years, but if you haven’t, go ahead and check out this post I wrote just about my love for ShakeO. If you don’t already know, Shakeology comes in 4 flavors. Non-Vegan Chocolate, Non-Vegan Greenberry, Vegan Chocolate, and Vegan Tropical Strawberry. Up until now, the non-vegan flavors have been offered at a price $10/mo cheaper than the vegan flavors. As of April 1st, the non-vegan is going to be offered at the same price as the vegan. BUT if you sign up for one of the non-vegan flavors on monthly auto-ship (automatically billed and shipped to you on the same date every month) by the end of March, you’ll be locked in to the cheaper price! FOR LIFE! How awesome is that?! So between the money you’ll be saving on the cheaper price point AND the money you’ll be saving on the shipping (you get free shipping when you’re signed up for monthly auto-ship), you’ll be saving over $250/year for life!! Can we say “NO BRAINER”?! This super-short, highly entertaining video will also give you a glimpse into whatta huge chunk-o-change you’re already saving on this ridiculously healthy meal — lock-in price or not! So go ahead and ORDER NOW before it’s too late!! Yet another product you’ve probably heard me talk about A LOT — The Beachbody Ultimate Reset. So this isn’t a post of me repeating myself, if you’d like a refresher course on what The Ultimate Reset is all about, check out my post about its gloriousness! If you’re already up to speed on all its miraculousness, and you’ve just been waiting for the price to come down a bit, then here’s MORE good news: For the month of March ONLY, get up to $85 OFF your Ultimate Reset Kit!! Cha-Ching!! And last, but certainly not least, a savings of $80 on each P90X & P90X2 Challenge Pack!! These Challenge Packs were originally $205/each (which is already a savings of $55), but for the month of March ONLY, they’re on sale for only $180!!! “What’s a Challenge Pack?” you ask. It’s the Program of your choice + month’s supply of Shakeology + 30-Day Club Membership + FREE Coaching all bundled into this great price!! This is Beachbody’s lowest price ever for the P90X and P90X2 Challenge Packs. Summer is a few months away and there’s no better time to get in the best shape of your life! Everyone’s talking about P90X—the #1 best-selling extreme fitness program of all time. P90X2 delivers the kind of results pro athletes insist on and even pay thousands of dollars for, with a breakthrough in applied sports science called Muscle Integration. Shakeology will help you “Bring it” during workouts, simplify your nutrition plan, reduce junk food cravings, and accelerate your fitness results! And if you haven’t put 2 and 2 together yet, I’m about to do it for you!! 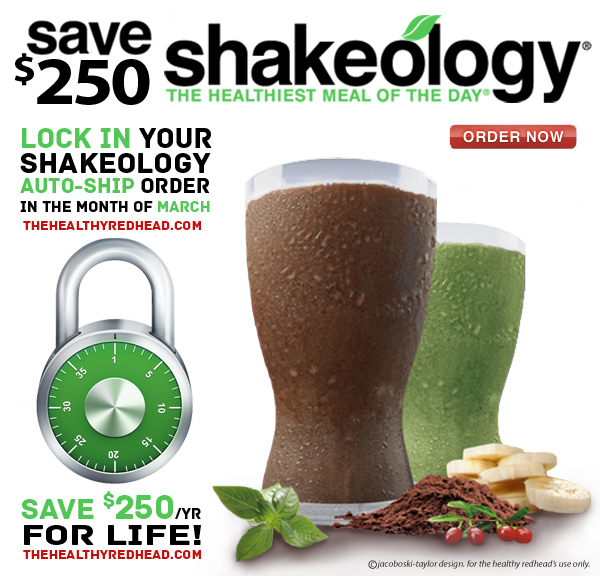 If you order these Challenge Packs, and choose one of the non-vegan Shakeology flavors, that also locks you in to the lower price of the Shakeology FOR LIFE!! I want to Bring It with the P90X Challenge Pack! I want to Bring It AGAIN and try P90X2! (if you haven’t already done P90X, that doesn’t mean you can’t go ahead and jump into P90X2). If you have any questions, please don’t hesitate to reach out to me and ask! ‘LIKE’ me on Facebook on the top righthand corner of the blog, or email me at aljacoboski [at] gmail [dot] com! I’d love to help you and hear from you!